RATTLED: Statewide investigation into athletes' head injuries highlights the important role of athletic trainers. As with many issues in Oregon education, student safety — and specifically concussions — comes down to a case of the "haves" and have nots." 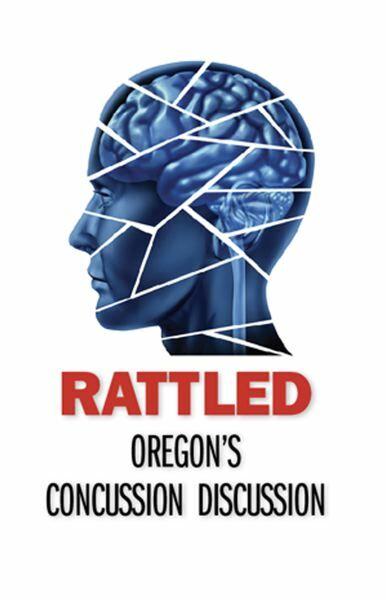 That's one of the takeaways from an analysis by InvestigateWest, Pamplin Media Group and Reveal, which reviewed "return to play" records from 119 public high schools participating in sports in Oregon to assess how they respond to sports concussions. Some schools, particularly those with athletic trainers, take a preventative approach, screening many more students for possible concussions than expected. Others appear to keep records only for concussions diagnosed by doctors, meeting the standard required by law but not rigorously documenting the students' paths to recovery. The scene painted by officials at smaller schools — one in which athletes line up for care while a single, part-time employee offers treatment — underscores how cash-strapped schools might struggle to provide for athletes. The investigation's finding, in one way, is not surprising. Best practice guidelines for athletic trainers call for documenting all interactions with patients, which would lead to more reports of not only concussions, but suspected concussions. The finding also mirrors national studies, including one study led by the University of Colorado that showed schools with athletic trainers were better able to identify athletes with concussions than those without, and also reduced overall and recurrent injury rates. The most rigorous concussion reports came from school districts that contracted with hospitals for their athletic training staff: schools in the Portland Public Schools district, which contracts with Providence Health and Services, and the Hillsboro and Forest Grove school districts, which contract with Tuality Health Alliance. That discovery did not surprise Sam Johnson, board president of the Oregon Athletic Trainers' Society, who noted that medical environments increase opportunities for reporting systems, and that such systems are something athletic trainers often work without. "Athletic training is a health care profession, but it's not served in a traditional health care setting," Johnson said. "I don't know if you've ever spent any time in an athletic trainer room, but it's a lot of drop-in. 'Hey, you know, this is bothering me. Hey, I got hurt.' It's not appointment driven." Looking ahead, David Kracke, Oregon's Brain Injury Advocate Coordinator, said he hopes to identify and implement nontraditional supports in rural areas to assist schools working with limited resources. "We know from experience that having an athletic trainer on the field is much better than not with regard to health incomes for our players. The question, however, becomes how do we ensure that that happens when there are funding disparities, population disparities and maybe not even an available athletic trainer in any given rural or frontier community?" That's important, because a larger percentage of students play sports at smaller schools than at larger ones. For example, data shows that about 6.5 percent of all Oregon high school students play football at schools with more than 500 students, but 12.5 percent play football at schools with fewer than 500 students. That same pattern holds for most other sports, too. Having athletic trainers in schools not only reduces risks to student athletes, but also can help save their parents money, by reducing the number of physician and emergency room visits for minor injuries like sprained ankles, according to Brad Garrett, OSAA's assistant executive director. "I have no idea what that costs," he said, "but I think we both know it's probably too much." "I'd like to say the answer is yes, but with my budget hat on, I recognize the challenges we face with funding our K-12 education, period," said Steiner Hayward, a physician. "So do I think having an athletic trainer in every school is a good idea? Yes. Do I know that we're going to be able to do it in the near future? Not so sure." Kracke said a group of advocates in Oregon is in close contact with key individuals in Hawaii who passed legislation in that state to fund athletic trainers in schools. While they're not yet ready to submit draft legislation for Oregon, they are looking hard at it. "Quite frankly," he said, "I hope that your study could provide impetus for us to address this issue in a meaningful way." Data used in the "Rattled" project was compiled from public records obtained by InvestigateWest, under the direction of Lee van der Voo. Primary analysis of the data was conducted by Jacob Fenton, a data journalist based in Portland. Sinduja Rangarajan of Reveal from The Center of Investigative Reporting independently confirmed portions of the analysis. Special thanks to Mark G. Harmon, from the Portland State University Criminology and Criminal Justice Department, for his advice on modelling that pointed us to this analysis. Despite the differences in the ability of schools to provide athletic trainers, the analysis of Oregon high school concussion data found that race and household income level had no bearing on whether student athletes were evaluated and treated when it came to concussions. The finding, part of an analysis by InvestigateWest, Pamplin Media Group, Reveal and Portland State University, underscores that where concussion resources exist, they are equally available to all students. "I was really happy with that. That really was encouraging to me," said Melissa McCart, project coordinator for the Center for Brain Injury Research & Training at Oregon State University.